The audiobook version of Raising My Rainbow was released by Audible today. Yay! Want a free copy? Cool, read on to learn how to enter to win. 1. My stomach growls. A lot. Loudly. Even when I’m not hungry. And, that’s not conducive to the recording process. Also, the more I think about my stomach growling, the more it growls. There might be a monster living in there. 2. Talking for six to eight hours a day over the course of multiple days will make your head hurt worse than your throat. Go figure. 3. I pronounce several words incorrectly and use those words quite often when I write. So, I had to sit and say those words over and over again until my producer got a version that was suitable for use. No, I will not tell you what those words are. 4. I was fighting off a cold and the sweet baristas at the nearby Starbucks introduced me to a drink called The Medicine Ball. 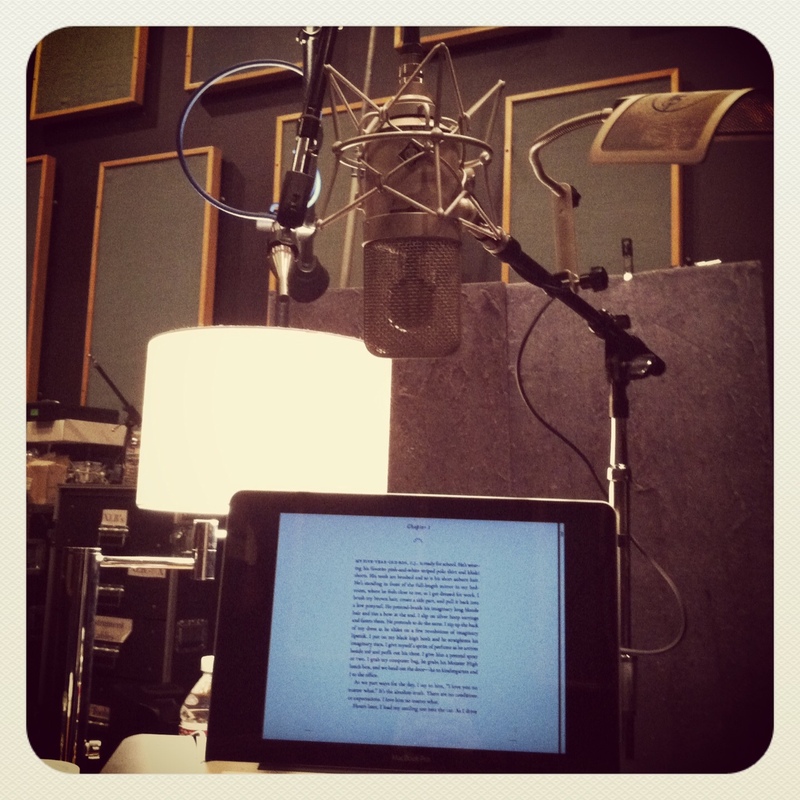 I dedicate the audiobook to them (and Matt and the boys and my brother and you). 5. The “corporate headquarters” of Gretchen Christine, the company founded by Real Housewife of Orange County Gretchen Rossi are next door to the studio where I recorded. I never saw Gretchen or Slade, try as I might. 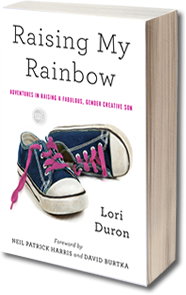 To enter to win a copy of the Raising My Rainbow audiobook, leave a comment below telling me one thing you learned from my blog and/or book. A winner will be announced this Friday. And, everybody, if you are on Audible, you should totally consider writing a review for the audiobook. Also, you do not need to have an Audible.com membership in order to buy the audiobook. This entry was posted in All Posts and tagged Amazon, Audible, Audible.com, Audiobook, David Burtka, Gender, gender creative, gender nonconforming, Gender Stereotypes, Giveaway, LGBTQ, Orange County, parenting, raising a gay child, Raising My Rainbow. Bookmark the permalink. 52 Responses to Raising My Rainbow Audiobook Giveaway!!!!! HI! I got your book through Random House Reads (or something like that)and I had decided to read and review it on my blog (an everyday parenting/ product reviews and giveaways blog). Through reading it, I learned more about gender creative children and adults. It helps me to better understand one of my friend’s daughter who is now a transgender adult, I had know her child when he was a rambunctious little ten year old boy! Sounds a lot like my dictation process when I’m using Dragon to write novels. Splitting headache (and sore throat to boost) at the end of the day is standard fare — and I’m genuinely ashamed of how much of my vocabulary I didn’t know I couldn’t say. But until I had to dictate these words it didn’t occur to me that I’d only ever seen them written down before. When Dragon doesn’t recognise it after the third attempt, I assume I’m saying it wrong and get embarrassed. I learned the term “gender creative” and I love it! This was perfect. I found an answer to a long time prayer when I read your husbands blog entry….my fiance and I share responsibility for my five year old who has been telling me since he was 3 that God made a mistake and he was supposed to be a girl…I didnt always have my fiance around and my traditional family is very much like the people your husband mentioned…”not in my house. Not in this family.” I have struggled between letting my son be truly himself or to follow the advice of my family that he “just needed more male influence”…my family always made me feel that I was a bad parent but even now my fiance spends so much time with him and still he wants to be called lily at school and home, wear dresses and marry a boy. He wants the girl build a bear and even his lego people are all girls. When we move into our new home he has asked to have my little pony decor. Reading yours husbands words were so inspiring and I now plan to read your version of the story….I want my baby to be my baby, fully himself…or herself if thats what makes him happy. Thank you!! What I learned: I’ve started using the phrase “I love you no matter what” with my daughter and love it. It covers so much. I loved how you talked to Chase about his love interest. He is approaching the age of first crushes and first love. You asked him in a non heterosexist way. I even liked your reaction to his “Mom! I’m straight!” Even that was great. You still wanted to remind him you would love him no matter what. I learned what the way to raise future kids should be. We must let our kids lead the way. Let them know we will accept them no matter what. I learned how a parent should address a child’s developing sexuality. Do not ask about if your son has a crush on a girl. Ask is there anyone you like? As a high school educator, I am learning the importance of ensuring a safe environment in my classroom; Your family’s struggles at school emphasize the importance of creating a culture of respect for all in my own classroom. Every child deserves the right to a safe, nurturing place to learn. This book is also teaching me to be aware of my classroom activities and groupings that could potentially make a student feel uncomfortable or unworthy of all things life has to offer. Congrats on the audio book. Looking forward to reading it. I haven’t been on a lot lately so I don’t know if this is repeating info you know if or have posted. I immediately thought of you and your child, CJ. Enjoy. I learned Audiobooks are a long, expensive process. I learned that I am not alone-that there are other little boys like mine who follow their own rules and do not conform to gender norms, and that by honoring and supporting his uniqueness I am doing the best thing for him. I actually was going to comment on this post before I realized you said to comment. I was going to let you know that, after having been an avid reader of your family’s journey for… two years (? ), I left my small town and moved to a city for college. I was so busy during college that after a while I forgot to get online and read your posts. I moved back home for the summer three weeks ago and have finally caught up on this adventure. Having read this blog has let me see how different things are from my small town, everyone has the same views, you marry your high school sweetheart, county, and has opened me up to how I would like to raise my children, because I don’t understand why there are gender restrictions when each child starts as a blank slate, and they should be allowed to grow and share what they think, not what everyone molds them into thinking. This blog helped me become more proud of my choice to try and become a therapist with specialization in the field of gender studies. People may look at me funny when I explain that I want to work with gender creative people and people who are trying to figure out who they are, but that doesn’t matter. All that matters is that someone is out there willing to listen and offer a kind word when so many in our society are fine ignoring or chastising their fellow humans. I’m learning a lot more about gender and what that means to people, big and little. I hope that I can give my kids a better respect for themselves and others! Only one thing I learned from your book/blog?! Finding your blog was like coming home. I struggled for so long to make sure I was being the best parent I could be to my gender creative son and your blog and book validated so many things for me. His Pre-K teachers are reading it and my parents have my copy. My Dad told me the other day that if I wasn’t planning on meeting with my son’s Kindergarten teacher to talk to her before school started that he would! You give me confidence and helped me give my son his voice. I am brand new to your blog and your book. It had a waiting list at the library. Gender nonconformity – wow – would like to have been raised by parents like you and your husband. I didn’t know my experience had a name! Can you imagine how hard it is to stay home and. BAKE A CAKE when your brothers are going fishing?…and not be able to go because you were a girl? Yes, I am learning from your book. Just began it yesterday and only put it down because I realized the name of your blog! I haven’t seen your blog until today, and know it only from your post in the FB group we both belong to. I am an Audible member and will download your book next. I just wanted to offer thanks for putting your story out there. It can be very frightening because of how some elements of our society operate, but we need our stories — and our kids’ stories — told so that attitudes/can change. I learned that lyou should always keep talking. Even when you aren’t sure if you’re saying the right things. Even when it’s difficult. Be open and honest with your kids. No matter what. As I’ve watched you transition from anonymous blogger to someone who openly speaks on talk shows about what you’re passionate about, I’ve learned the importance of not hiding behind an alias when trying to stand up for what you believe in. Tying your beliefs to a person with a face is so much more powerful! I have truly enjoyed following your blog and your family’s journey. I have learned what wicked advocates you are for not only your own kids, but all gender creative kids out there. The world needs more people out there like you in it! I enjoyed the book very much. Your story has touched me. As a gay couple we have been placed with a foster son who, like CJ, is obsessed with Monster High and all that goes with it. Hearing how you navigate the waters of school, playmates, and elementary birthday parties has been eye opening. I know how I was raised but how do you raise a pink boy who has pink parents and make it possible that he is not mocked in the boys bathroom for “posing” or made fun of on the playground for dancing….too well. Thank you for sharing your story. I’m still in school to become a teacher between the grades of VPK and 3rd, and in classes we are taught SO much about diversity but it’s almost exclusively children with special needs or children who are learning English as a second language. Your blog has taught me that those aren’t the only thing a teacher will have to accommodate for. One thing that has stuck with me is not having boys and girls line up by gender. I feel like there are a lot of mistakes I won’t make as a teacher because I’ve followed you and your family through this. Hi Lori! I learned a lot from your blog. I’ve stumbled not too long ago upon it and I’ve started reading back.The thing that stood out the most for me is the incredible strength that CJ, yourself and your circle has. I’ve seen that it hasn’t been easy and still can be a struggle, but now, it’s not their universe anymore, it is YOURS. That’s amazing. Your blog came at just the right time for me, I was starting to learn about gender noncomformity and transgender issues, and you taught me that gender isn’t binary, and isn’t settled. I learned that there are no easy answers for these challenges. I’ve been a long-time reader, and one of your posts that still sticks with me is one of your earlier posts. In that post you considered balancing the interests of both C.J. and C.J.’s Brother on the question of just how out C.J. should be at school. When I went through my coming out process from middle school to high school, it was necessarily a very insular and selfish process to preserve myself. For me, claiming my identity required some outspoken moments of challenging illogical social norms, and to some extent I had to ignore the occasional spillover effects on my family. Reading about it from the third-person perspective made me think about all of that with a lot of ambivalence. I’m not sure I would do it any differently a second time around, but it bears thinking about how complicated these issues are. I learned that it can be hard when your child shows interest in things that aren’t gender “appropriate”. What hurts is wanting to encourage them taking joy in the little things but at the same time worrying about protecting them against the people who will judge them harshly for it. I learned the importance of nurturing and supporting your children through the decisions they chose to make. I learned that the world may be incredibly cruel but that only means that we need to band together even stronger. I learned that if I want to stop kids from policing other kid’s genders, we need to create a different world starting with ourselves, our children and our assumptions. I learned the selflessness of loving without conditions, giving when it seems like your heart is breaking and the importance of a good hair stylist. I learned that every parent should read your book because it is a love story about accepting your children for exactly who they are. That everybody should sparkle in a rainbow of colors. And how important it is for kids to learn that and respect each others special sparkles that makes them who they are. I found your book just at the right time – thank you for honestly sharing your experience ! So many things you open up about are so relatable and gave me the courage to talk more openly to my family. Just last week we had a bad experience at the store when the clerk rang up a Sofia the first figurine and gave it to my daughter, not my son. My daughter quietly handed it over to my son and the women actually stopped and stared at my son as if he had 3 heads!!! My poor little guy got in the car and put the toy in his lap and covered it with his arms. I asked if he wanted me to open it for him and he said no, that he wanted to hide it in case someone looks in the car window because he knows that he is a boy and he really wanted a girl toy. The look of shame on his face broke my heart. We had to have ‘the talk’ again about how toys are for everyone. I hope more people are exposed to your book through audible to increase our compassion and understanding!! I learned that my son is not alone! I learned that although my son is 27 and I was raising him in a time before the internet and the ability to connect with families raising gender non-conforming kids was nearly impossible … that the things I did to support, encourage and embrace his individuality was exactly what he needed in order to become the amazing man that he is today. I laughed and cried and felt like I was taking a walk down memory lane when I read your book. I learned that my son is not alone. I learned that your sons have wonderful, brave & loving parents who aren’t afraid to accept and love those who are different from the norm. I wish all parents could be like you. As a teacher of primary grade students, I have learned so much from your blog and your book about how to treat my students and how to create an environment that truly welcomes all of my class. At least in my small corner of the world, students (those who identify as girls, those who identify as boys, and those who don’t identify as a specific gender) are free to explore all that exists within the four walls of the space which they occupy 5 days a week, 6 hours a day, without regard to their gender. They need not worry about the gender norms that society has created. They needn’t worry about “put downs” from their classmates, and they will see that there are many ways to be a boy and many ways to be a girl in books, lessons, and examples given in class. Thank you for all you have taught me and all that I continue to learn from you. I am a (gay) rebirther/breathworker in Australia helping adults to clear family issues and trauma so they do not start to repeat the hurtful ‘learned’ patterns from families and parents with their own children. It is always heart warming to see someone who is as open as you sharing their stories for the world to see. Thanks for your bravery. It has truly helped me and countless others I am sure. Bravery can be infectious. Hugs and Love. Though I’m too young, at sixteen, to have children myself, the Raising My Rainbow blog answered a sort of question that I’d been discussing with friends about the intersection of parenting and queer politics. As queer-aware parents, how do we approach gender in parenting? Do we encourage our children to experiment with gender, or do we encourage them to conform to protect them from more ignorant folk? You’ve taught me that the best path is to let the children be what they will be, and encourage them not to express nor stifle their more unusual traits but rather simply to do what they think is right for them, encouraging them to make their own decisions about their personal identity and assuring them that, no matter what choice they make, their home will always be welcoming. This philosophy, I’m sure, will be invaluable to me when I grow older. I learned that there is such a thing as an article about what’s in somebody’s purse. I learned that gender creative kids still like fart jokes. I learned that those of us raising gender creative kids are the lucky parents who get to see the magic happen every day. I know this is really, really basic, but I had never heard the term ‘gender nonconforming’ until I started reading your blog. 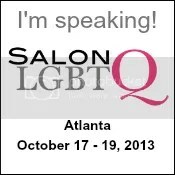 My good friend, whose brother is gay, pointed me to your blog a few years ago. Then, later, one of our nephews turned out to be gender nonconforming and I shared your blog with his mom. In essence, you gave us a common language to talk about such things and it also helps us explain it to others. Thanks and best of luck with the audiobook. Lori, Your humor and strength give us renewed courage and inspiration as my husband and I raise our sparkly little boy. It is comforting to be able to identify with some familiar scenarios. Thank you for your blog posts and book. We feel so fortunate to have discovered your writing. We love helping our little one celebrate the person he is and your words help validate what we know to be true of gender variant children. Our world just wouldn’t be half as meaningful without the radiance that our son projects when he is free to be exactly who he is. I learned to be brave and support my gender bender without hesitation in everything he does. I owe so much to you and your family’s courage to speak out and share. Thank you!!! C.J. and my son, Vanden, are the same age and play in very similar ways. I learned to not decide anything about him based on his dressing up and wanting to be a girl. I was able to tell Vanden that there are other people just like him, who feel just like he does. He thought he was the only one who felt ‘different’. Thank you for sharing your life with me. You have helped us in so many ways. We can love and accept without judgement and that is a beautiful thing! I hope one of the things you’ve learned is how wonderful you and your husband are for your two sons. As a 75 year old gay man I am in awe of you. Your book and blog have been shared with friends throughout the world including gender studies professors in New Zealand. God bless you. Lori, I learned that courage and love are unbeatable and will triumph over everything, as to me your family exemplifies both. I am ever grateful for having crossed blog paths with you! All living beings on this earth need to be treated with respect,dignity and kindness!!! Thank you for shring your family with me. I look forward to watching you all continue to grow and carry on kindness! I learned to be a lot more aware of gender restrictions. How unfair it is to put someone you don’t know into a category before you are aware of how they actually feel.